Singer Katy Perry has introduced a range of fruit-scented sandals for her Katy Perry Collections footwear range. The 33-year-old is preparing for summer with her newest shoe range, which is a selection of nostalgic scented jelly sandals called 'The Geli', reports femalefirst.co.uk. Sharing an image of the brightly coloured shoes, which are available in lime, cherry, grape and strawberry scents, on the brand Forever 21's Instagram page, Perry announced the footwear with the caption: "Walking on sunshine and fruits in new scented jelly sandals." According to her website: "Everyone’s favourite jelly sandals get a scented, tutti frutti makeover perfect for tropical adventures and beachside cocktails." 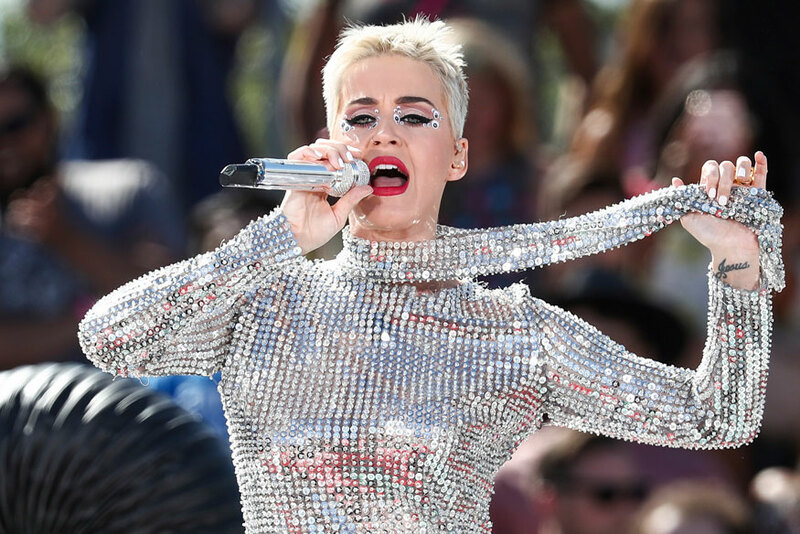 The "Swish swish" hitmaker is known for her quirky style and as well as her shoe collection, which ranges from glitter sneakers to high-heels with shark fins.